Apple has just released their newest headphone the Beats Solo 3. The newest headphone is hitting a new store near you at the premium price of $300. The Solo 3 is out with another new installment of their Solo series for many people these will definitely be on the list of best workout headphones 2016. With the Beats Solo 3, Apple’s new W1 chip is definitely set to make the best wireless headphone of 2016 when it comes to battery life and Bluetooth stability. But will they be the best Beats available? You will just have to wait and see until Apple releases Powerbeats3 and the BeatsX. 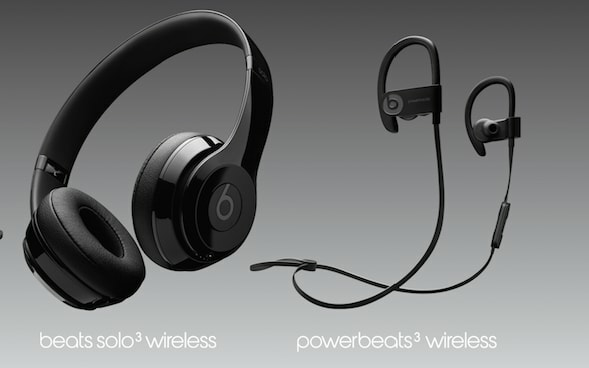 Apple claims that the Beats Solo 3 can last up to a whopping 40 hours! Also with Apple’s new Fast Fuel, they are claiming just only a 5-minute charge will give you 3 hours of playback. They instantly set up and just power on and hold near your iPhone – and then simultaneously connect to your Apple Watch, iPad and Mac. With Class 1 Bluetooth technology, Solo3 Wireless provides the soundtrack to your life with wireless efficiency. Though Apple has faced a lot of controversy in the past, they will still enable traditional headphone users to continue to connect via the headphone jack. But while plugged into the iPhone 7, it will not be able to charge simultaneously. Not to mention they will also stereo speakers for the first time within an iPhone.